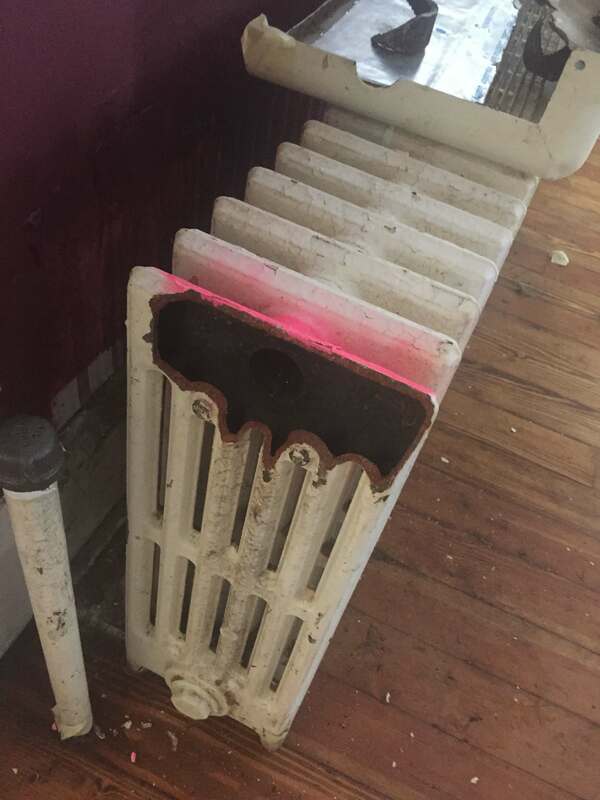 The pictures here show a radiator and pipes that froze and broke during one of the recent temperature plunges. Jay Rybin, Master Steamfitter, said the house was vacant and being readied for sale. Then the heat went out. “Even with someone checking the house nearly every day, one day without heat and extremely cold temperatures can cause extreme damage,” he said. Seven of the 12 radiators in the house froze and broke along with the piping. Well, the water sprayed and leaked all over the house so the owners brought in a cleaning service. 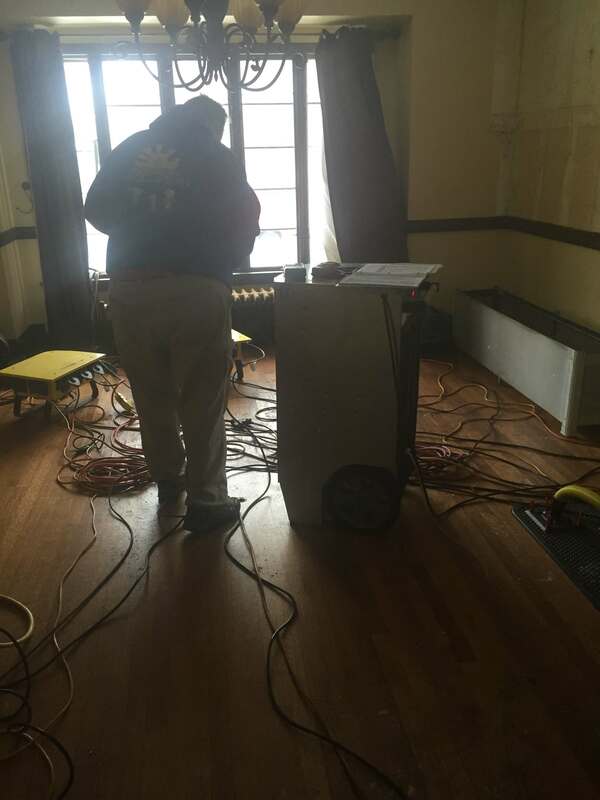 The cleaning service recommended they call Eyman Plumbing, Heating & Air Conditioning to fix the radiator and pipes. “This particular company has used us a lot for plumbing. They found online we work with boilers, so they recommended us for this job,” Jay said. Jay’s team capped off the broken radiators. Fortunately, the boiler and the rest of the pipes were intact. Eyman was able to get the remaining five radiators operating. Jay said fully restoring the heat took a full day. After the radiators were capped, Jay said they let everything sit while the owners contacted their insurance company. He said Eyman collects radiators. They have a lot of vintage hydro–tested used radiators. Jay said replacing the seven radiators took about three to four days. The lesson in here for people? If you’re not going to be home and the temperatures are below freezing, be sure to have someone check your house daily. 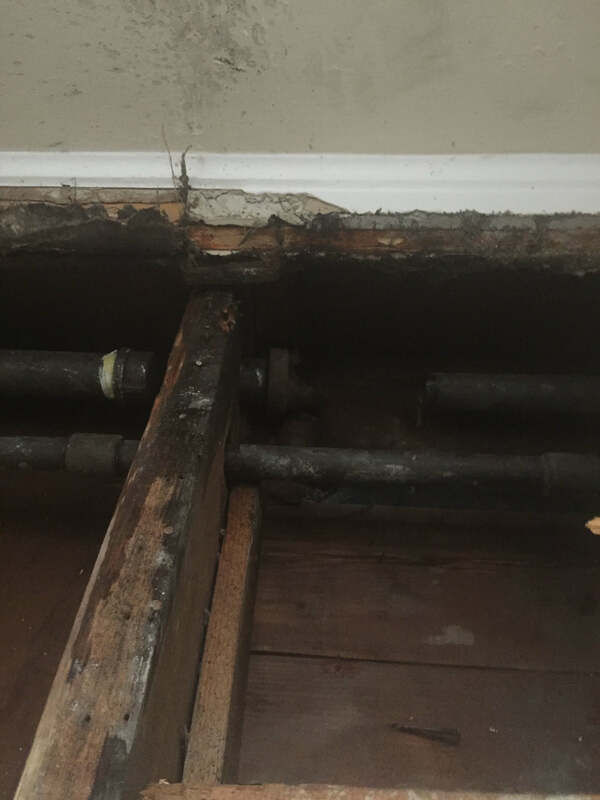 “Most frozen and broken pipes are avoidable,” Jay said.